…And now for something completely different! So, holiday season has begun. And as one of them readers types, I buy books for friends and family, like every year. Here are some of of my favorite picks – and, in part, favorite reads – of 2012. “The Killing”, by David Hewson. The novel after the famous TV-series, a hard-boiled neo-noire tale. I had watched the US-remake of the series when I picked this one up at the airport out of pure boredom. Well, turns out this is perhaps the best crime novel I have read in the last few years, if maybe a bit too comfortably settled within its own genre: In a plot that is ostensibly inspired by a certain Davis Lynch’s own dabbling into TV production, you get the usual vintage Skandinavian thriller elements: Broken human figures against a sublime landscape, and, of course, the hero, or, in the case, the heroine, is the weirdest of them all. But despite those flaws, the “novel after the screenplay” delivers, and to no small degree, mainly, because it is set up as a long read, rather than the usual 250-page crime jerkers. You get to know the characters, and you get to know their world in a way most novels with a similar plot never care to delve into. Probably boring to crime novel experts, but for casual readers, a solid choice. “The Broken Kingdoms”, by N. K. Jemisin. Another rather random airport pick, and another one I am not ashamed of. The second part of the Inheritance-trilogy, of which I haven’t read the other tomes, yet. Oooooh, this is an excellent, excellent book! The fantasy genre – the epic kind, especially – so desperately needs refreshment, between the unnerving steps back into the aesthetics of Howardian times, the Tolkien rehashes, and the oversexed soap operas that try to be the next Game of Thrones. And The Broken Kingdoms is a first answer to that. In my humble opinion, this is the single best fantasy book of the last decade, and I am not even going to pretend that I can give a fully objective statement about it. I simply liked this book, for all it was. Read a much more balanced and detailed review over at io9. 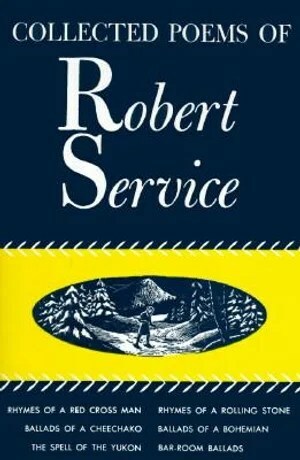 “Collected Poems of Robert Service”, by Robert Service.